Justin joined Commonwealth Financial Group in January 2017 as the Director of Producer Services through the merger of CFG and MassMutual Northern New England. Justin worked at MassMutual Northern New England since 2008. He started in a compliance role and was eventually named the Chief Operating Officer for the agency. In Justin’s current role as the Director of Producer Services, he works with producers on development, goals, business practices, and recognition, while assisting in connecting them to all the resources the firm has to offer. He also helps transition experienced agents into the firm. 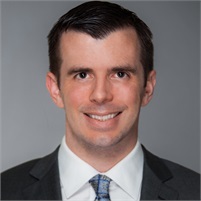 Justin has a Bachelors in Business Administration with a marketing focus from the University of New Hampshire, and an MBA in finance from Northeastern University. He currently resides in Derry, NH with his wife, Brandi, and daughter, Chloe. In his spare time, he enjoys spending time with his family and pursuing physical fitness.